Explore our booths to find the best fit for your event below. When your guests are dressed to the nines, you need more than a DIY photo booth to capture their memories. 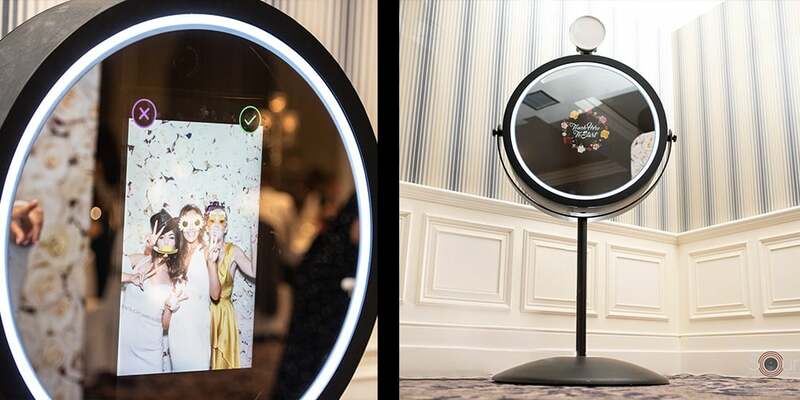 Our selfie mirror photo booth marries sophisticated, elegant design with state-of-the-art technology, and guests couldn’t be more thrilled. This standout option allows them to enjoy all the liveliness and fun of a traditional booth and elevates the entire experience with an intuitive touchscreen display and, of course, the ever-important ability to find their light, hit their angle, and work that camera. 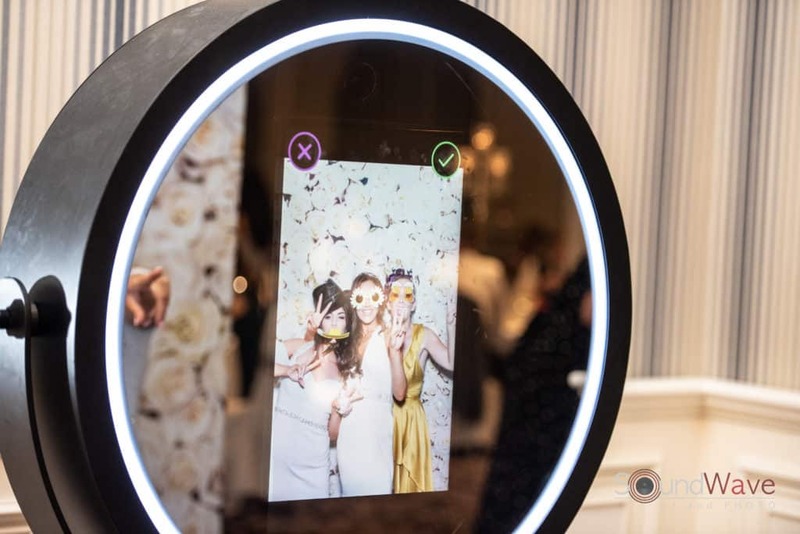 The selfie mirror is fully customizable and programmed to be 100% on-brand for your event, from the on-screen animations down to the minutest details. The only thing you won’t find in the selfie mirror photo booth package, or any of our photo booth rentals, is our name. We know plenty of our competitors consider your wedding reception or corporate event guests a captive audience and take advantage of their time in front of the camera by flashing their name and number across the screen. We have to admit; it’s a pretty smart tactic. We just don’t do it. We WON’T do it. Our company offers photo booth rentals in Buffalo, NY that come with our uncompromising commitment to making every event perfect; we’re sure word will get around. Just because your event is in a small or historic venue with a difficult-to-maximize floorplan doesn’t mean your guests need to miss out on the fun of a photo booth! Our gallery-worthy Beauty Mirror packs all the features of the Selfie Mirror into its compact and modern open-air design. It’s the ultimate choice for venues that are short on space or which call for a more contemporary photo booth style. 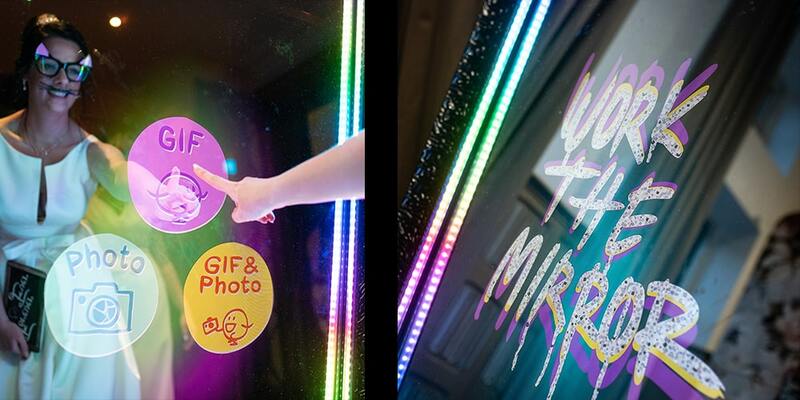 The Beauty Mirror package includes all-out personalization, including custom backdrops and guest books, custom photo strips, an easy-to-use social media kiosk, on-site attendant, and more. 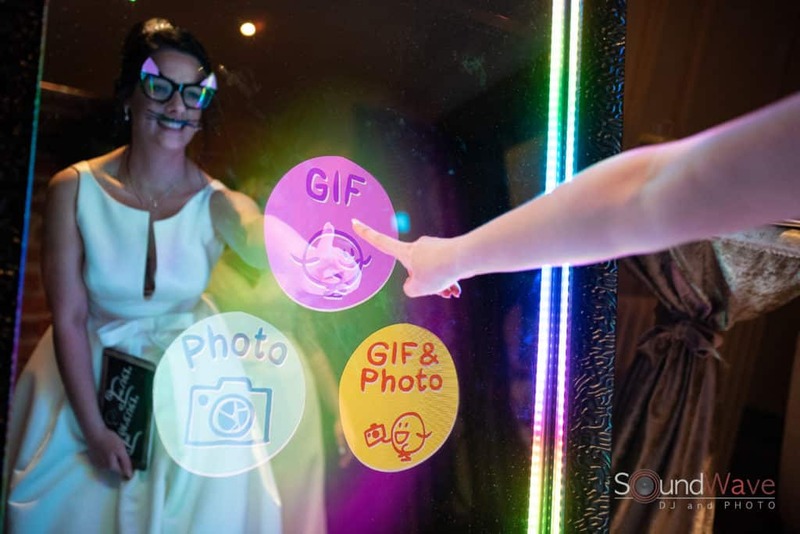 Discover the Photo Booth Rental That’s Made for Social Media: the Social Booth! The ultra-slim Social Booth may fit in the smallest of spaces, but it still packs a full house of enviable features. 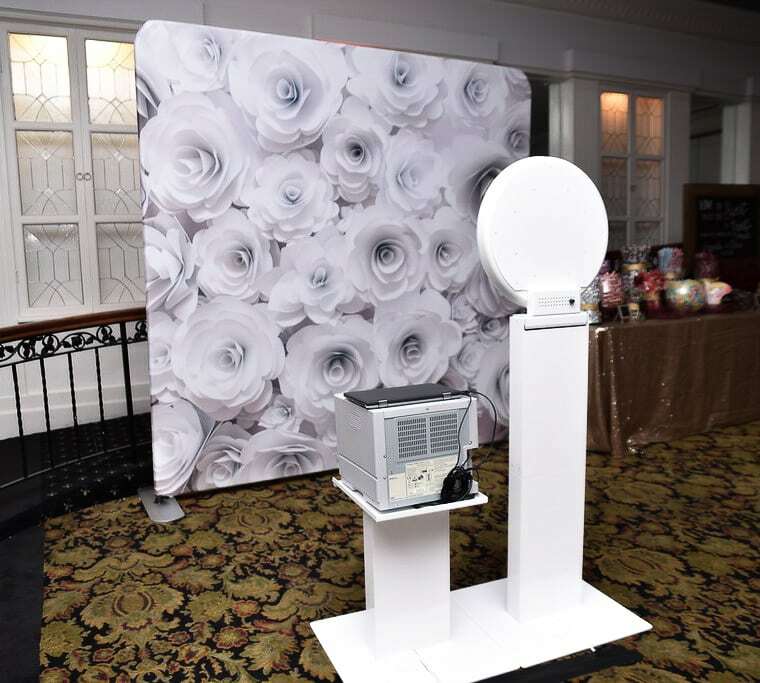 This open-air photo booth is streamlined and modernized for text, email, and social media sharing, and comes with all the standard elements of our other three- and four-hour photo booth packages. 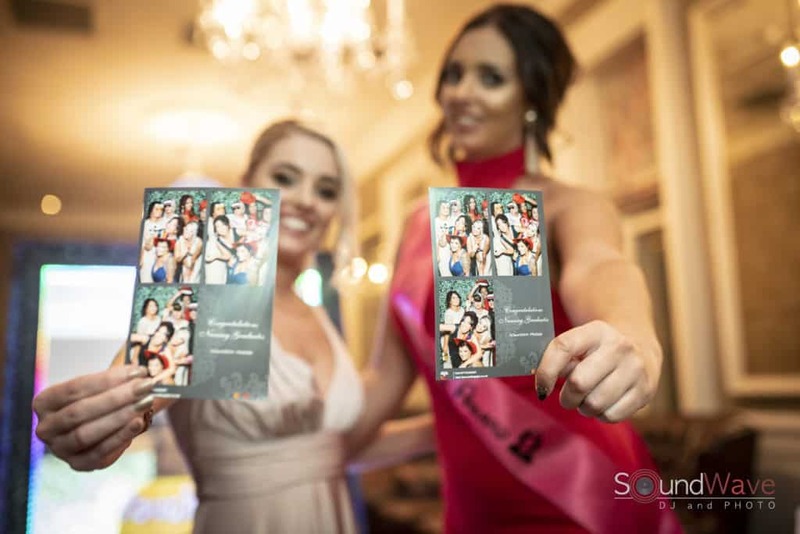 The Social Booth rental is offered with or without our customary unlimited photo printing amenity. This flexible option can serve a wide range of Buffalo NY gatherings, from corporate events and brand awareness functions to wedding receptions and birthday parties. The classics are classics for a reason, and our time-honored, box-style photo booths are no exception. This charming classic is made modern with the latest and most innovative technology, creating a gateway to iconic new memories with a sleek, understated elegance. Each well-appointed booth rental is thoroughly customizable, ensuring that it captures the essence of your event and complements your style. Customized photo layouts, backdrops, photo strips, and unlimited photos are included in each standard photo booth package, as is our iPad kiosk for social media sharing and on-site attendant throughout your event. The sky’s the limit? With green screens at your wedding reception or corporate event, not even the sky can get in the way of capturing absolutely exquisite photo booth images. With our green screen photo booth package, you and your guests will enjoy hours of entertainment with the ultimate customizable backdrop. No matter the venue, green screens allow you to snap a wedding photo in front of the Eiffel Tower or your guests to grab a group pic with their heads among the stars. Nobody wants to end their event with sticker shock, and yet we hear horror stories every day about hidden fees and surprise upcharges that other businesses sneak into their invoices. You shouldn’t need a contract attorney to rent a photo booth, Buffalo. SoundWave DJ & Photo is committed to your satisfaction before, during, and after your event. That’s why our pricing structure is upfront and all-inclusive. The price we put in writing before your event is the price you’ll see on our invoice—ALWAYS. Call us at 716.639.9283 to start designing your perfect event today. 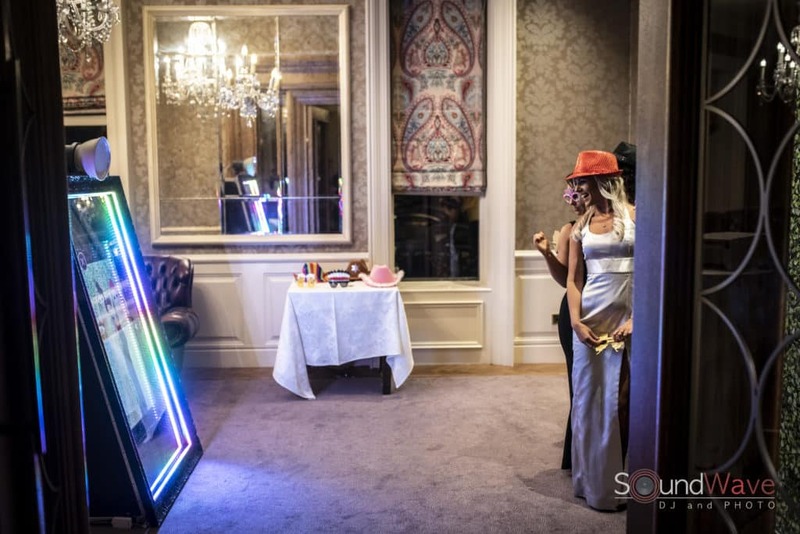 SoundWave DJ & Photo is the prestigious full-service entertainment company that Buffalo, NY turns to for first in class customized photo booth experiences as well as five-star DJ, photography, videography, and uplighting services. All of our total-experience photo booth packages include ahead-of-the-trend, customizable options to perfectly complement your event. Give your guests a night to remember with hours of photo booth fun and entertainment.